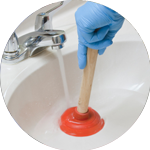 Since 2005, The Handy Squad have been offering exceptional plumbing services in the Holland Park area of London. 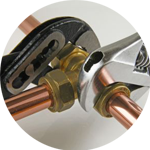 For over a decade, our team of highly skilled and efficient plumbers have been patrolling the region on their signature yellow vans and scooters, delivering an unrivalled level of quality plumbing service. 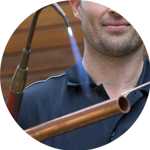 The depth of knowledge and expertise our plumbers possess is unmatched, giving them the know-how to complete even the most unpleasant and arduous of plumbing issues. 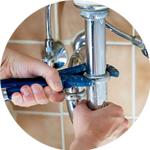 Your Plumber in Holland Park will be able to assist with anything related to; Replacements, Unblocking, Installations and Repairs. Holland Park is a district located within the Royal Borough of Kensington and Chelsea in the west of London. The area is incredibly affluent, which is attributed to its close proximity to Hyde Park and Kensington Gardens. Plumbing services isn’t the only thing available at The Handy Squad. We also have a Handyman in Holland Park, who will be able to take care of general DIY issues within commercial and domestic buildings. They can provide assistance with generalised tasks such as Flat Pack Assembly and Tiling. For anything related to electrical work, we have a team of dependable Electricians in Holland Park. Many electrical jobs are dangerous and require a safe pair of hands to ensure appliances and equipment is installed or replaced both safely and securely. Our team can guarantee that any issue will be dealt with competently and within a suitable time-frame. Our team can help with; Lights, Replacements and Installations. To book your handyman, decorator, electrician, carpenter or plumber in Holland Park, fill out the Online Booking Form.